Recently I've finished my MBA in software engineering and as a result my group and I ended up with and tool for use case management. We were aimed to develop something that helps teams build a better software and we founded in requirements a gap to be fill. As usual in Brazil software development is a big issue (I'm specifically talking about Brazil because is my country and where I have experience) with impossible dead lines, crap documentation and bosses even worse. In resume software here is just a matter of money and doesn't matter if you built it with quality or not, what matters is how much the company will earn with it. "Problems of scope. The boundary of the system is ill-defined or the customers/users specify unnecessary technical detail that may confuse, rather than clarify, overall system objectives." To us is very clear the problem is in the documentation and to improve this field we came up with an new tool to increase the requirements field. Usually Use case descriptions are created and stored in word documents and as you can imagine they can be very hard to maintain and even create them. Our solution provides a easily way to create and store use case description based on an application. You can see the tool here https://shielded-headland-1947.herokuapp.com. The following section will introduce to the tool and give to a explanation in how we ported the use case description. The first screen is where you define your application, you can have as many application as you want. Usually when you are creating a use case you are creating it to a given application, for instance let's say you are developing requirements to a application called Fly Cotrol, so you should use the same name in this screen. As the name already said here we are going o manage our actor. You can insert, delete and update an actor. In this section is where you going to define the versions of your use cases. A simple example here is when you create the first version called 1.0.0, then comes the need to upgrade some functionalities and then you create the version 2.0.0 to specify only what has been changed. Then the select box of named Version comes, here is where you select which version your use case is going to use. Following the same idea you can select one or more actors to be in your use case. Here we are in the last step to create our use case, this is the last section because is complex to explain. Here is where you use case is going to be detailed with each step and they can be Main, Alternate or Exception (if you are not understand the point go ahead and take a look in the use case description in the beginning of the post). 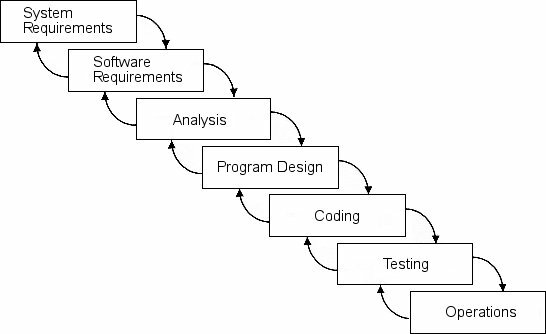 The tool was just to prove our point of view in how requirements affects the software development and there are improvements to be done yet. The main features I can think now are: user authentication, generate use case diagram and allow relation between use cases. If you liked the tool or want to contribute with feel free to, all the code was developed in PHP and Laravel Framework you can see the source code in https://github.com/marabesi/use-case-management. In this study what I felt is that requirements and documentation is a business need and the problem resides on the developers hand. As a developer/software engineers we should demonstrate a path to the users and instigate them to give us the correct information. In the past we were addicted to word's document and Excel sheets but nowadays its more than that, simple text documents doesn't help us to delivery quality in our softwares. The Use Case management tool is a try to improve this field and prevent all issues in the software development. As a resume we learnt we HAVE TO elicit correctly requirements and Use Case Management toll helps a lot with that, storing all use cases need to a given application.